Selected from a wide range of white groundcover seedlings we inspected at the Kordes test fields. Prostrate growth habit, good healthy foliage, renewing itself from the centre. Nonstop semi-double blooms all over. 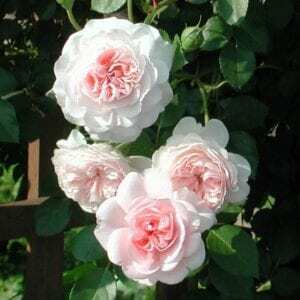 We recommend this rose for borders, to cover large areas, as specimens in pots, wall pockets, standards.